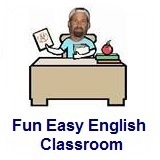 ﻿ Fun Easy English - new classroom free online classes english language lessons speaking listening writing reading january 31. 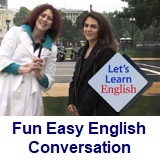 American English Reductions "whatsiz" and "whatser"
Today in the Fun Easy English classroom you are going to learn "whatsiz" and "whatser" which are American English reductions. 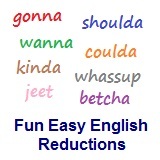 These American English reductions are used when asking for information about a man or a woman. Reductions, such as whatsiz and whatser are not real words in English.